Authentic superstar, Frank Ocean headlined at Lovebox Festival this year to the delight of thousands of fans that labelled him as the highlight of the show. Register your interest in Frank Ocean hospitality with Villiers, should a Frank Ocean tour 2018 be announced. Let us know your ideal group size and location. Winning over fans with his first album, Nostalgia, Ultra in, that Frank Ocean released online for free, it became an internet sensation. Frank Ocean’s unique style as an R&B and hip-hop storyteller, captured attention of the music industry, Pharrell Williams says “All the songs are like movies. All you need to do is close your eyes.” His second album Channel Orange was released in 2012 received rave reviews, particularly known for singles Thinkin Bout You and Pyramids. 2016 saw the release of Frank Ocean’s chart-topping album Blonde praised as one of the top five albums of 2016 (The Independent / The Rolling Stones.) Frank Ocean’s narrative on love, sexuality, loss and much more made him a pop culture icon. ‘Endless’ was released with minimal publicity. Blonde, an independent album by Frank Ocean was released the next day. Frank Ocean’s fans went from having no music for four years, to having two albums. Frank Ocean has kept up momentum of his music career, having released three new singles in 2017, including Chanel, Biking and Lens. Frank Ocean headlined at two UK Festivals, Parklife in Manchester and Lovebox, his first London performance in three years. Frank Ocean’s UK performances in 2017 may suggest a Frank Ocean UK tour could be announced for 2018. Frank Ocean has also written music for the likes of Justin Bieber and Beyonce, as well as featuring on Kanye West’s Saint Pablo album. It seems likely Frank Ocean may be about to release another new album in 2017 with a 2018 tour likely to accompany it. Both Jay-Z and Beyonce has featured on Frank Ocean’s work. A Frank Ocean Tour 2018, would likely see him play at venues such as Arena Birmingham, Manchester Arena, The SSE Hydro, Dublin’s 3Arena and First Direct Arena in Leeds. 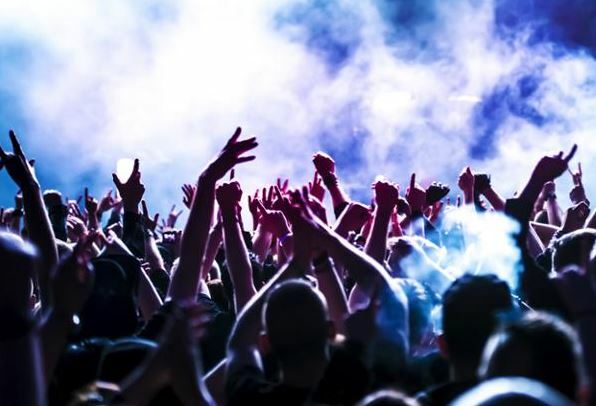 At Villiers, we provide the premier hospitality for the hottest music events of the year at select venues. Find out more on available music hospitality here and for hospitality at Arena Birmingham, here. Frank Ocean’s popularity stems from his relatability as an artist, his pure honesty to a melodic tune resonates with the public. Frank Ocean shares his experiences that have made him. Don’t miss the chance to see this inspired artist perform live. Register your interest in Frank Ocean hospitality here, and make sure you’re ahead of the game should a Frank Ocean tour 2018 be announced. Will Beyoncé tour in 2018?